Genuine OEM HP RM1-0658 Transfer Roller Assembly. They are designed to work in the LaserJet 1010/1012/1015/3015/3020/3030 printer/copier(s). 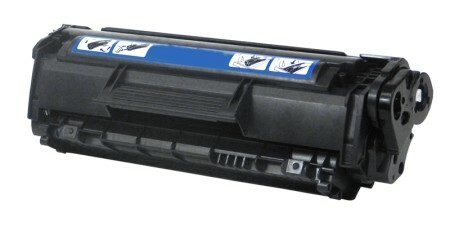 Premium Quality Q2612A Black Toner Cartridge compatible with the HP LaserJet 1010, 1012, 1015, 3015, 3020, 3030. The use of compatible supplies does not void your printer warranty. 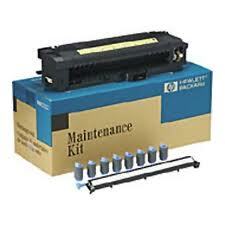 Premium Quality Q2612X High Capacity Black Toner Cartridge compatible with the HP LaserJet 1010, 1020, 3010, 3030. The use of compatible supplies does not void your printer warranty. Premium Quality Q2612A Jumbo Capacity Black Toner Cartridge compatible with the HP LaserJet 1010,�1012,�1015,�1018,�1020,�1022, 1022n,1022nw,�3015,�3020,�3030,�3050,�3052,�3055,�M1319f MFP,�M1005 MFP. The use of compatible supplies does not void your printer warranty. 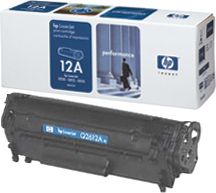 Genuine OEM HP Q2612A, HP12A Black Toner Cartridge. They are designed to work in the HP LaserJet 1010 printer/copier(s). Premium Quality Q2612AD Black Laser Toner Cartridge (2 pk) compatible with the HP LaserJet 1010. The use of compatible supplies does not void your printer warranty. Premium Quality Q2612A Black MICR Toner Cartridge compatible with the HP LaserJet 1010, 1012, 1015, 3015, 3020, 3030. The use of compatible supplies does not void your printer warranty. Genuine OEM HP Q2612AD, HP12A Black Laser Toner Cartridge. Dual Pack(2 Pack of Q2612A) They are designed to work in the HP LaserJet 1010 printer/copier(s).